I went to the zoo today and saw elephants and giraffes. 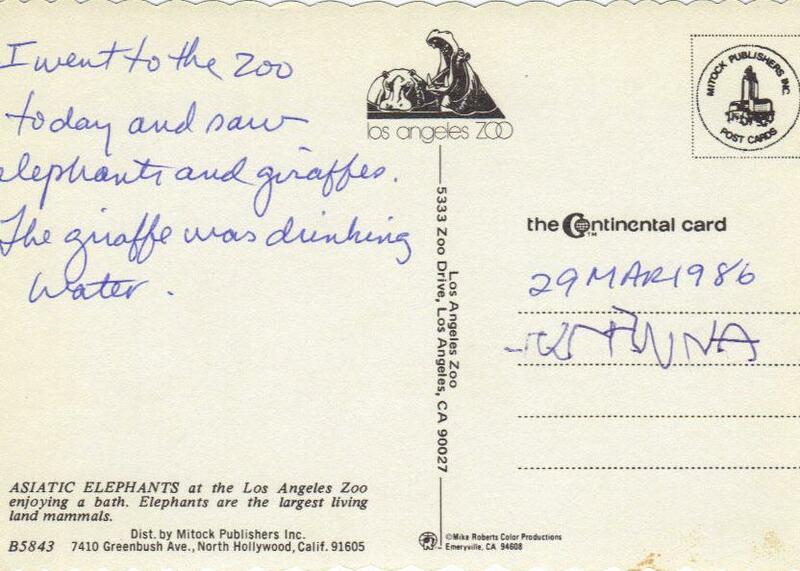 The giraffe was drinking water. 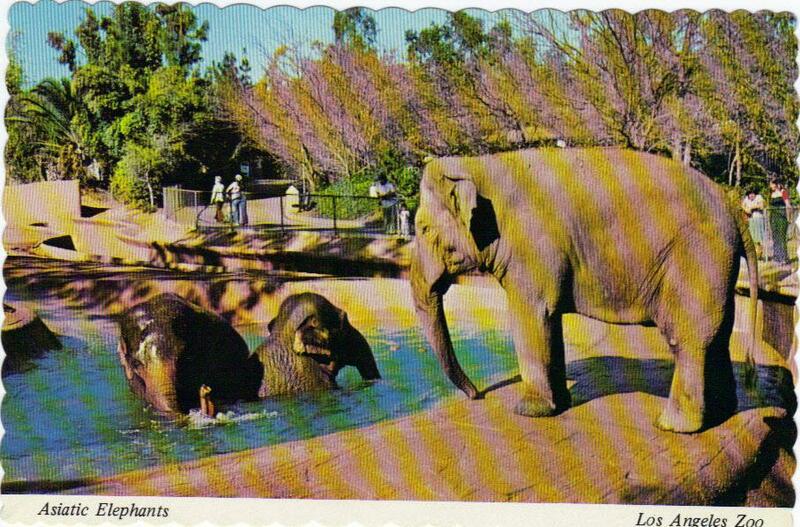 ASIATIC ELEPHANTS at the Los Angeles Zoo enjoying a bath. Elephants are the largest living land mammals. Bonus: Susanna's signature on this clearly dictated postcard.